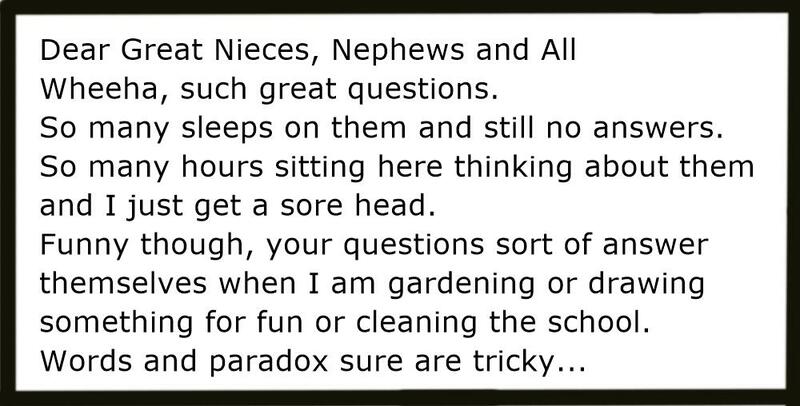 Yes, it is like your questions somehow answer themselves when I am just getting on with life. This seems especially true when I am acting in compassion. Existence somehow feels most OK in such moments. Remember we talked about compassion and its qualities – inclusiveness, kindness, sharing, truthfulness, trust, inquiry etc. In other words, compassion is all that the ego is not. The ego tends to make us an exclusive, greedy, deceitful and an arrogant know-all. Compassion is a word you don’t hear much in our English language these days and I feel a bit strange using it. I am afraid other adults might condemn me as a wus, a weak softie, a coward. They also might deride me as flaky and unrealistic. Futility : trying to think about paradox. Get the picture? Thought cannot capture the essence of paradox and every single thing I think about is paradox. This sure makes it very tricky to talk and write about paradox. Using thoughts and words to communicate paradox is like trying to capture rainbows and clouds with a butterfly net. 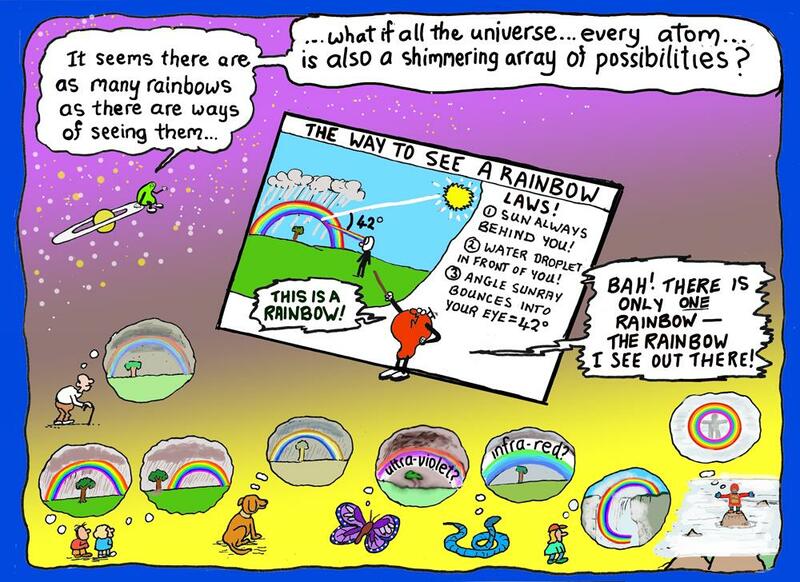 To see the universe in a rainbow and know there are myriad perspectives. Hmmm. The sun must always be behind you if you want to see a rainbow. 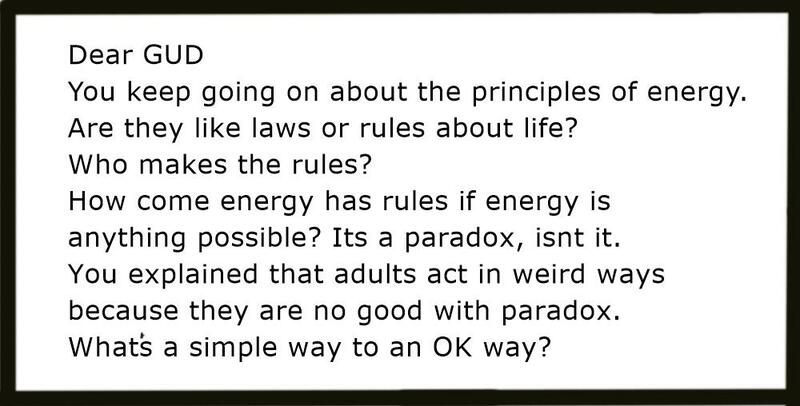 Is that a rule, a law or a principle of the way the universe operates? We adults argue the difference. Some say a principle is a good idea that cannot be proved correct whereas an idea becomes a law when it is proved correct using mathematics. What idea do you reckon best describes the way of the universe? Here’s my pick. Maybe you guessed it? 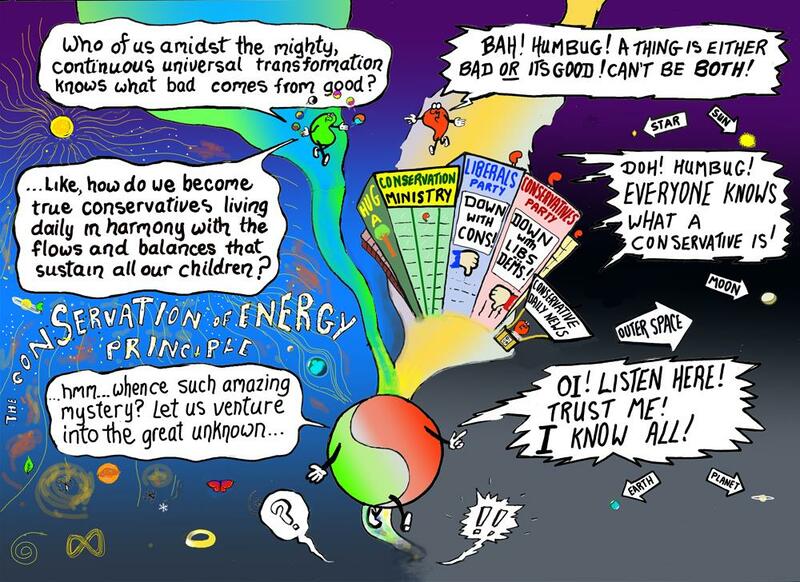 The Conservation of Energy Principle -never disproved. Human beings have strived to their utmost in most ingenious ways to disprove this principle ever since our beginnings. Wonder why? second of time in 15 billion years. 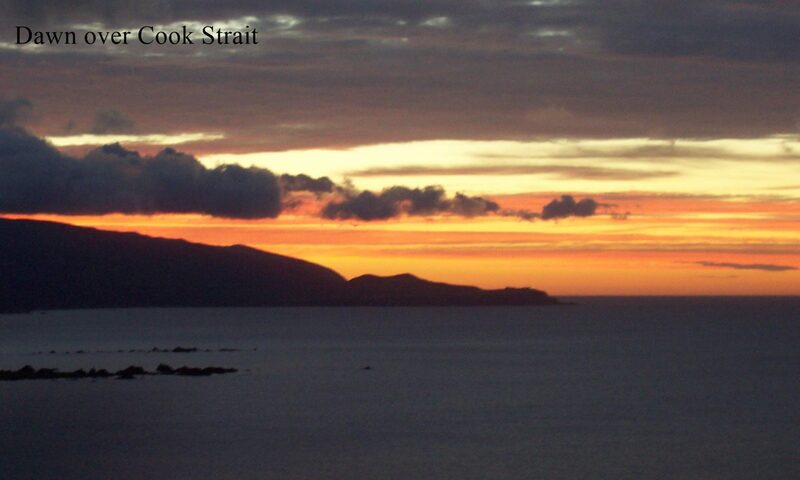 It is more than 25000 sunrises since I was born. I must have asked “What is the time?” a million times and more. 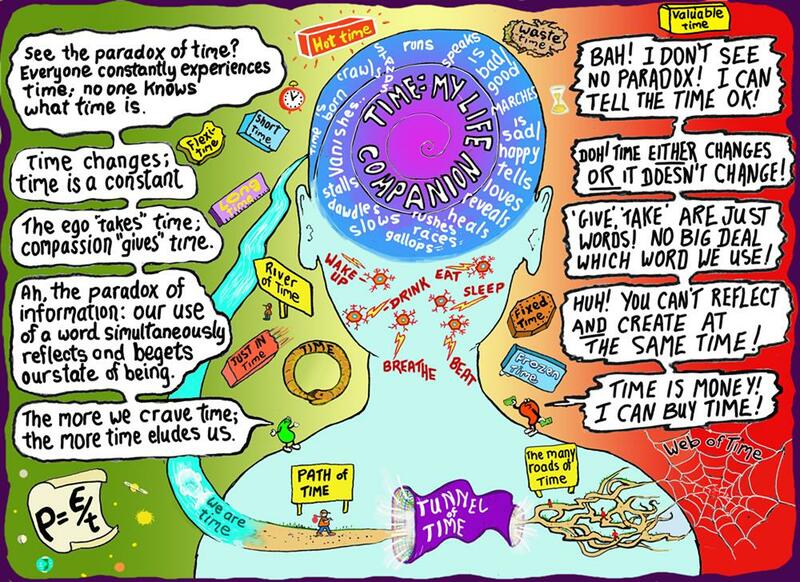 However now is the first time I have asked, “What is the time?” It turns out to be such a fun, mind-boggling question. A few things seem clear to me. Like energy, time is vast mystery to us all. It’s paradox. And time is involved in all our daily calculations. Its seems even our unthinking decisions involve lightning fast calculations of time, energy and power in some way or another. We have to be wise to thrive. Misuse the power of fire and… disaster. Misjudge the power of a chair to support us and… crunch. Miscalculate the power of an approaching car and… splat. Misunderstand the power of the passing sun and… famine. Definition of Power. Power = Energy divided by Time. Flawed notions of power or energy or time can be very dangerous. 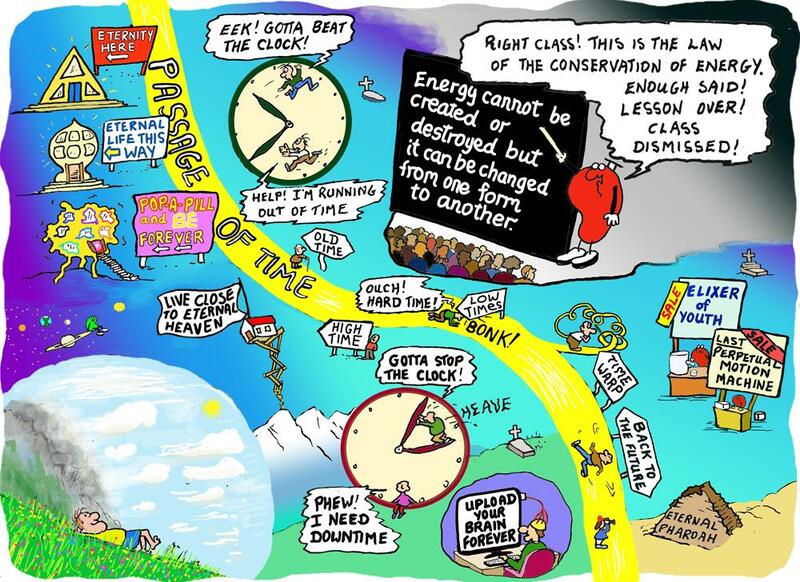 Wise notions of power, energy and time can help us thrive. 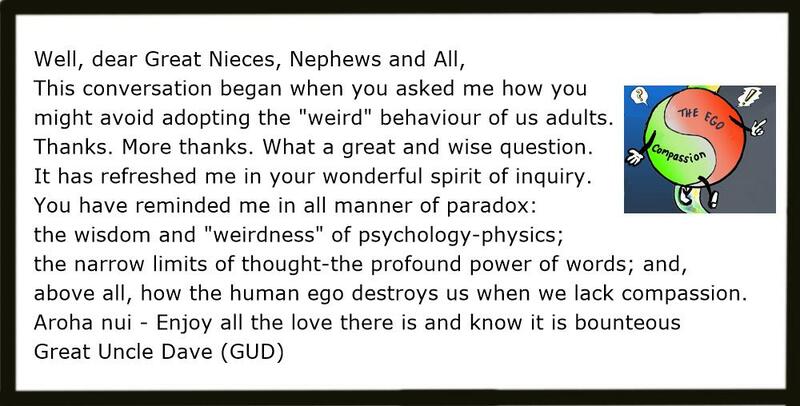 It sure is not easy for me to make good sense of the “weird” ways of us adults. Your helpful questions are most welcome. We have explored the nature of energy, power, change, time, economy, paradox, the ego, compassion and physics (the ways of the universe). 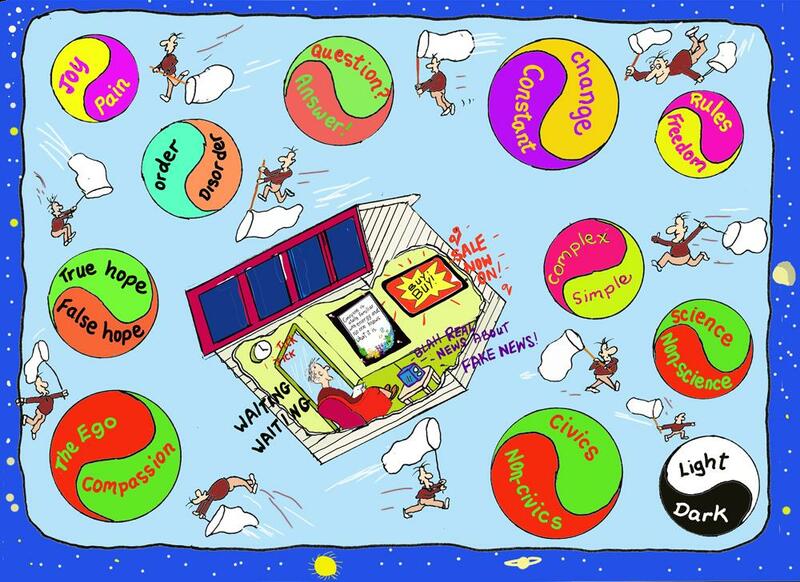 It seems these ideas are inseparable and together they shape our experience of the universe, for better and worse. Everything seems to go bad for us when we get one idea wrong. The power of words. 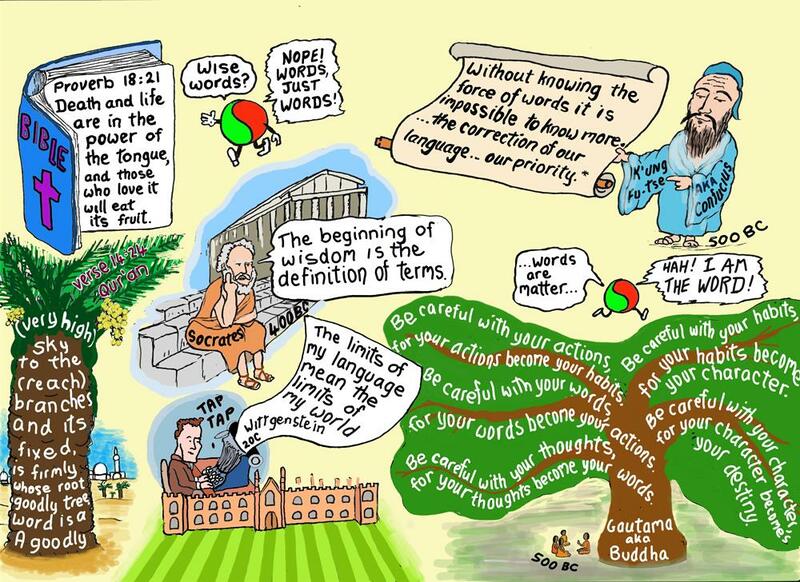 Quotes from Judeo-Christian Bible, K’ung Fu-tse (Confucius), Gautama (Buddha), Socrates, Qur’an, Wittgenstein. The profound connections of words like energy, power, change, time, economy, paradox, the ego, compassion and physics. Let’s assume these people are correct: words form extremely powerful forces in our lives. This means, as with all other forces, we can use the principles of physics to better understand them. In particular, we can use the principles to estimate whether an adult is likely to be talking good sense or unhelpful nonsense about the best ways we can follow an OK way of life. and it continuously changes forms. Imagine these people from history got together. Do you reckon they would agree with the following statement? Our “careful” use of “a goodly word” enables us “to know more”, enjoy “wisdom”, expand “the limits of our world” and better shape “our destiny”. Definitions of energy. Energy is universal potential. 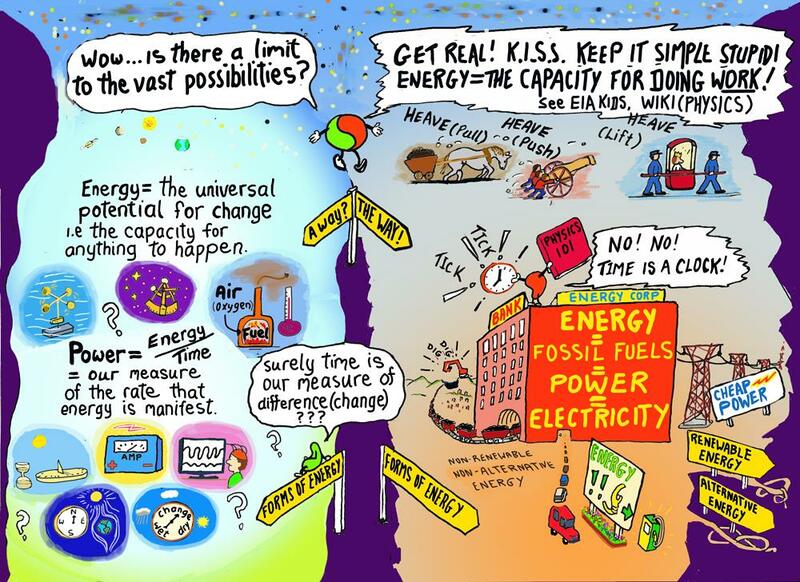 Energy is fossil fuels. Energy is electricity. Energy is power. Definitions of power. Power is energy per time. Power is energy. Each definition takes us a very different path. Definitions. What is a form of energy? 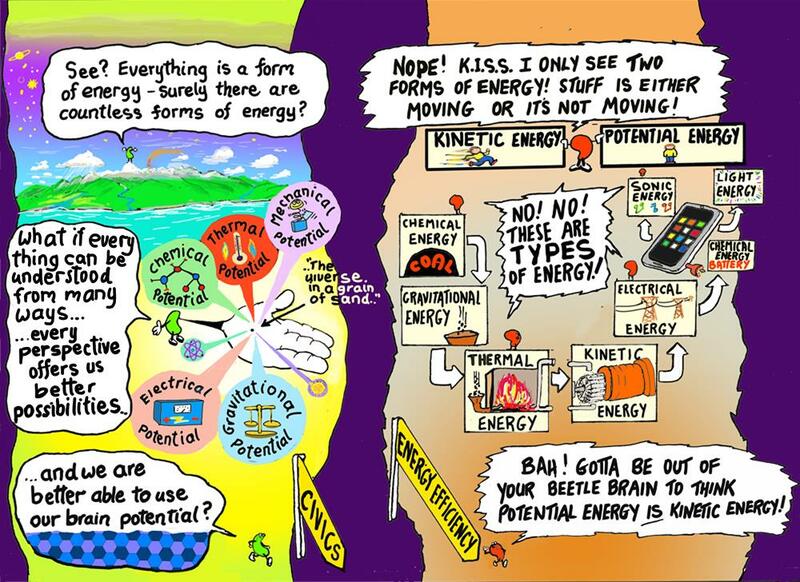 Perspectives of energy. Types of energy. 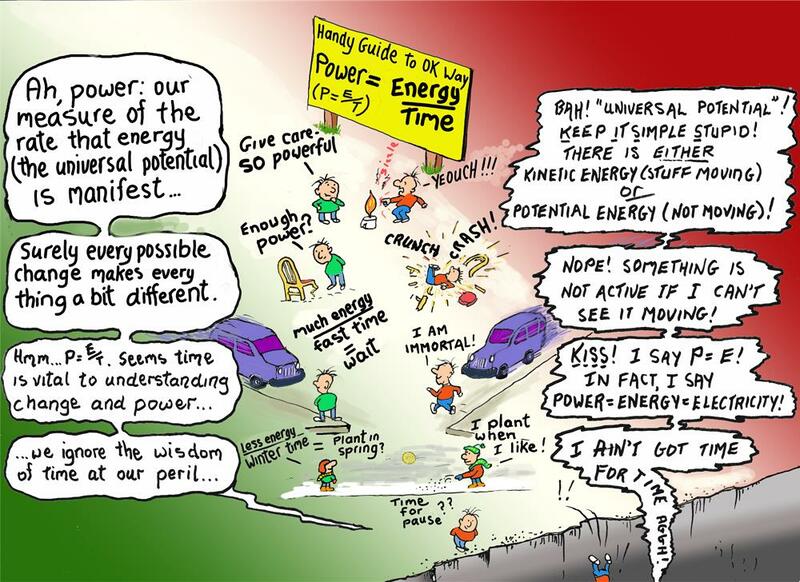 Psychology of energy. Physics of energy. EIA definition. Transformation of energy. 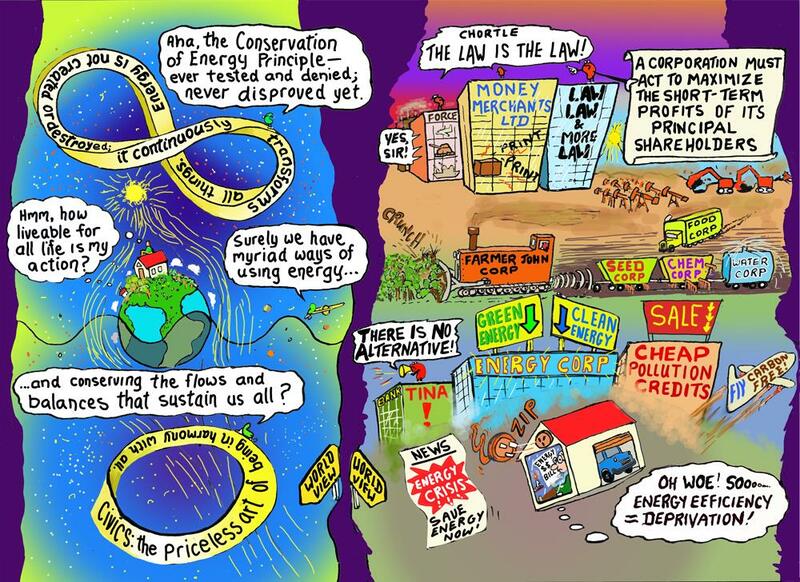 Comparison of ethos generated by adoption of (a) Corporation definition of energy and (b) definition of energy founded in the Conservation of Energy Principle. 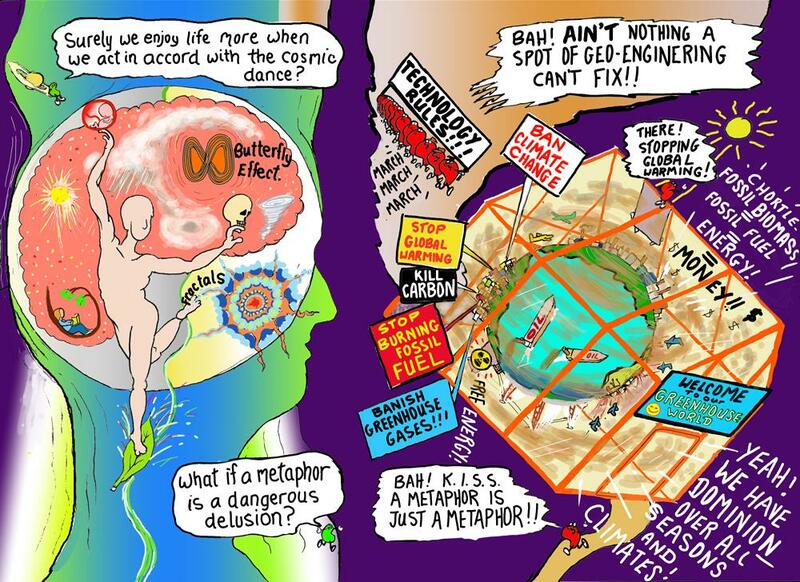 World view generated by belief in Conservation of Energy Principle compared with world view generated by belief in Greenhouse Earth. Existence is paradox. The human spirit is no exception. For instance, every human being consists of the ego (a sort of exclusive, fearful, arrogant know-all part) and the compassionate state (a sort of inclusive, courageous, humble, inquiring part.) 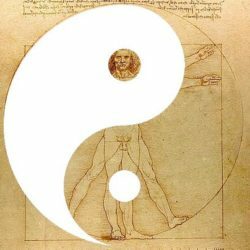 Both states of being are very different even as they are the same.